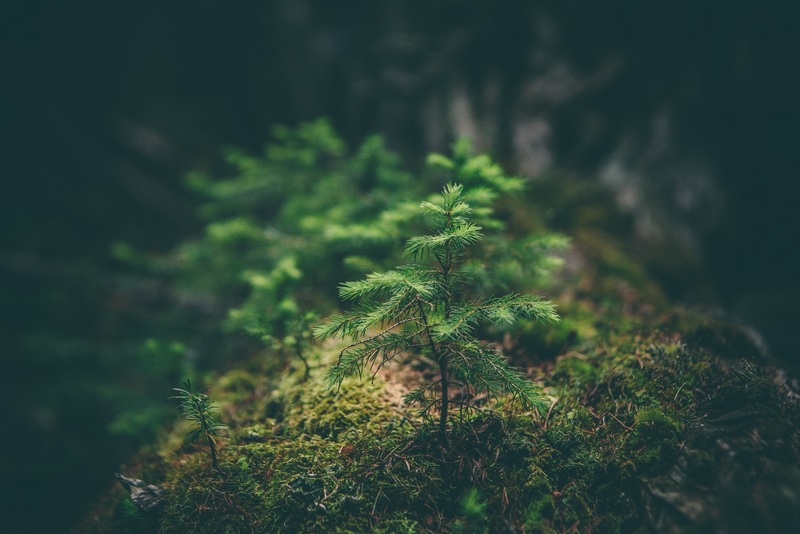 All plants and trees start out as a seed and then a sapling. Even the largest trees in existence today started out as small saplings many years ago. This is also true with wealth: all of the wealth today started out as a small investment decades or centuries ago. Some plants can already be eaten while it is still a sapling. However, consuming the plant at this state does not give that much benefit due to its small size, and doing this destroys the plant entirely. The best course of action is to wait for it to grow so you reap the benefits of having a large, mature tree bearing fruit and other produce. If the plant or tree is large enough, you can harvest its fruit or leaves without destroying the plant, and you can repeatedly gain the benefit for a very long time. The same concept applies to money. You do not kill your source of income prematurely; instead you wait for it to grow. 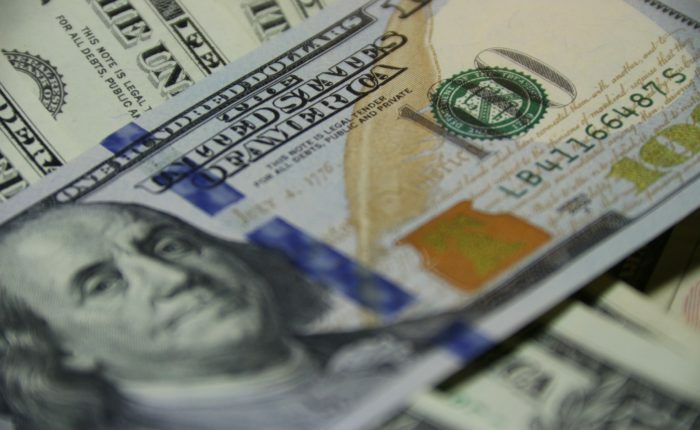 When you start investing and you begin to see some gains, it may be tempting to reward yourself by cashing out and buying the things that you want. However this is the same as eating the plant while it is a sapling. Compounding effects take time, and this means that you reap the greatest benefit by not consuming your investments while they are still “growing up”. One specific example of this is the education fund for our daughter. For this, I used an automatic investing program from my bank that regularly puts a modest amount of money into an equity fund every month. As I don’t consciously move the money to the fund, it barely even registers in my mind each month. When I checked it after more than a year, I found that it is now worth one year of primary education for my daughter. While it may be tempting to reap the benefits now and pay the tuition for the year, it is much better to let it grow further. The end result of it is that instead of this investment providing only one year of primary education, it is possible for it to be able to support her entire college education! Taking care of plants require regular maintenance: you prune dead leaves, you water it daily and give it fertilizer. Pruning and adding fertilizer is not really required for it to grow, but the plant’s growth is not optimal if these additional actions are not performed. Similarly, you will need to continue to add to your investment portfolio as time goes on. It is possible to invest your money and then leave it for years, waiting for it to grow. However, the compounding effect shows its magic once you continue adding to your previous investments, resulting in a snowball effect that may someday surprise you! Plants require different types of environments in order to thrive. Some want constantly moist soil, some prefer watering only once a day, while others even die if there is more water than what they need. Education and experience are both important when gardening and investing. Just as you need to know as much as possible how to most effectively grow your plants, you also need to understand how your money is invested. Familiarize yourself with the basics of investing such as saving money, tracking expenses, and putting them in investment vehicles. Know the different ways of investing: putting money in equities, bonds, real estate, lending, or personal businesses. With a deeper understanding, you can also protect yourself from people and organizations who try to profit from your ignorance. After planting and taking care of the needs of the plant, you then leave the rest to mother nature. You cannot force the plant to grow, to take up water, or to process sunlight as its energy source. As with most things there is only so much that you can control in the world. It is scary and sometimes unsettling to leave your hard-earned money invested somewhere. Perhaps the market will drop and you will “lose” money, or that businesses can go bankrupt and take your investments to the grave. While these events do happen, we cannot control them. No matter how hard we try, market forces will take effect and will have an effect on your investments. Instead of spending our time worrying about these events, focus instead on the things that you can control. Is an insurance policy available and applicable for your investments? Can you distribute them so that you will not lose everything on a single bad event? Have you done due diligence to make sure that your investment is in good hands before you commit? 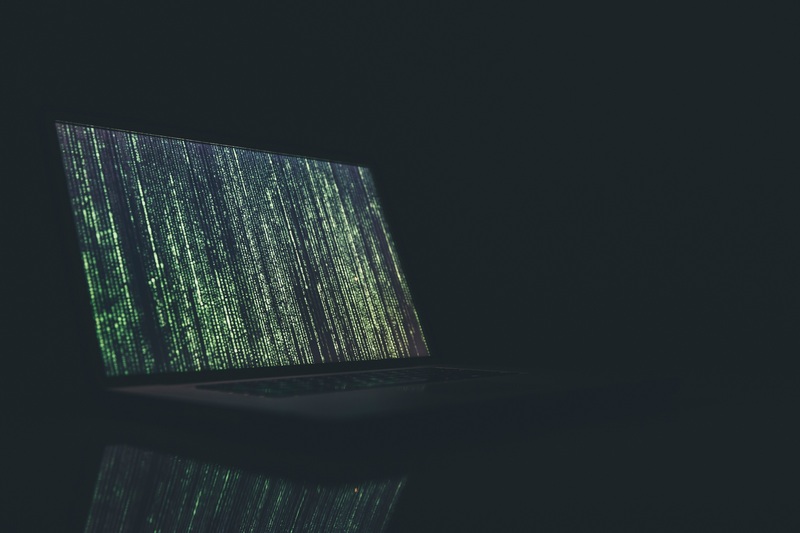 Data breaches are a common occurrence nowadays, with larger and larger personal data being exposed to the public and the hands of malicious organizations. Big companies such as Yahoo, LinkedIn, and Equifax are not immune to these data breaches and resulted in exposing millions of customer accounts. In the Philippines we also experience these data breaches, recently in COL Financial (online stock brokerage) and in Jobstreet (job board). Therefore it is important for you to protect your online accounts to minimize the damage caused by these data breaches. I personally have accounts in COL Financial and Jobstreet, and so the reported data breaches served as a wake up call for me to take steps into securing my own account. In this article I will share some ways on how to protect online accounts in a practical way. You have probably heard this one over and over again through blogs, books, articles, news, and signup forms. Usually when you sign up for a website they check the password that you create and see if its a “strong” password. Typically they require you to have lowercase, uppercase, symbols, and numbers in your password. While these measures are good in that they force users to generate passwords that are somewhat hard to guess, this results in passwords that are hard to remember and thus it may prompt the user to write down or save the passwords on another medium, such as a spreadsheet, a text file, or a sheet of paper. This reduces the overall security of the account as all the passwords can be stolen physically or digitally without even attacking the website itself. To combat the tendency to write down passwords in an insecure location, let’s explore another way of generating a strong password that can be also easily remembered. There was an XKCD comic that illustrated the difference between a password using special characters, numbers, and multiple cases and a password that is composed of completely random words. It showed that a seemingly random password that uses special character substitutions to obfuscate the actual password is quite difficult to remember but is quite easy for a computer to guess. In contrast, a password composed of purely random words can be easily remembered but has a high entropy such that it is difficult for a computer to guess. To illustrate how we can easily remember these passwords, think of how you can connect or relate each of the words, and then create a story that you can memorize in your head. For example, the first password can be remembered as the sentence “When you raise a family, you often think of the future“. I can assume that after reading that sentence twice, you will have already memorized the password! When using this approach for password generation, there is one important rule: the words must be completely random. It is not enough that you think of different words from your head. Even though you think the words are random, it is still going to be influenced by your thoughts and subconscious mind and this results in a password that is not strong enough. When attackers combine other information about you, they may use that information to guess the word combinations that you are likely to use. Therefore it is important to use external, unbiased tools to generate the word combinations for you instead of creating them yourself. In the first part of this article, we have said that success is not a result of sudden events or “accidents” but the accumulation of small and seemingly unimportant actions performed over a period of time. These small positive actions when applied to our financial situation can reap great benefits in the future as evidenced by the compounding effect. However, compounding also has a dark side to it, which can result in great losses instead of great benefits if it is allowed to accumulate over time. If you consider the power of compound interest as one of man’s greatest inventions, then you also need to be aware that it is also one of man’s greatest curses. This is probably one of the main reasons why people do not have their finances in order or find it very hard to get ahead. 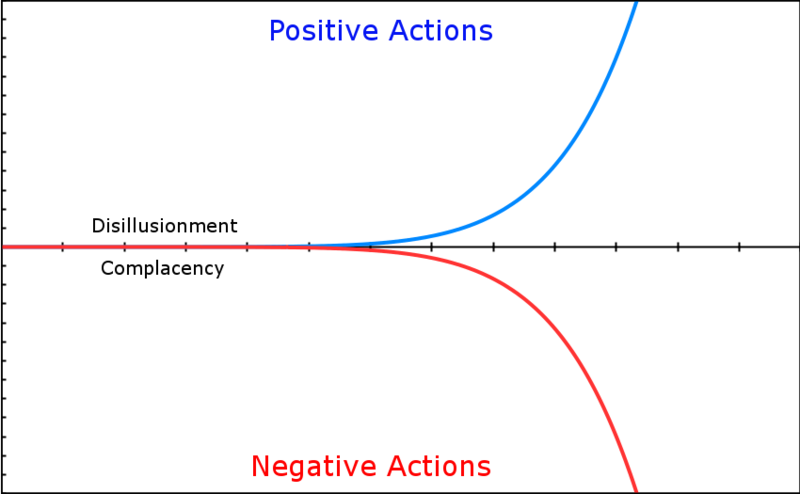 The top line (in blue) shows the compounding graph when the interest is positive, while the bottom line (in red) shows the graph when the interest is negative. This is the main illustration of the consistency beats intensity philosophy and we will describe how this applies to your finances. The blue graph is the result of consistent, positive actions, like regularly investing and saving. Even if you are investing small amounts, if done regularly and given enough time, it will result in positive growth that accelerates as time goes on as shown on the rightmost part of the graph. The red graph is the result of negative actions that reduce the amount of money that we have. A good example of this is credit card debt that is not paid in full every month. A normal interest rate if you do not pay your credit cards on time is 3.5%, meaning there is a -3.5% interest rate that adds to your credit card balance. As you continue to delay paying your credit cards in full, this 3.5% compounds over time and results in a larger and larger amount that you need to pay. Eventually some people only have enough money to pay for the interest of their credit cards and the actual debt is not being paid, creating a vicious cycle that is very difficult to get out of as negative compounding takes effect. Another example of a negative action is by not investing at all. Under normal circumstances all countries experience inflation, meaning that the value of your money decreases over time. If you remember a time in your childhood when buying a chocolate bar only costs ₱5 but now it costs ₱20, this is the effect of inflation. If you kept your ₱5 in a piggy bank when you were a child, you will no longer be able to buy a chocolate bar using that same money today. The same effect happens when you leave a lot of money in your drawer or in your bank and do not invest it. The Philippine’s inflation rate as of January 2017 is 2.7%, meaning that unless your money earns 2.7% every year or more, it is actually losing its value. Interest in savings accounts usually earn only around 0.25% annually, which is a far cry from the rate of inflation. To combat this you need to invest your money in order to earn high enough interest. Whether you invest it in stocks or bonds, in real estate, or in your own business, it does not matter as long as you are earning positive returns for your money that beats inflation. By doing this you are essentially preserving the value of your money while also enabling it to increase its value. We have now established that you need to save and invest regularly, even if its only for small amounts at a time. When we look at the compounding formula and graph, it shows that time is necessary to achieve the desired outcome. And since we are investing only small amounts, it may feel like it is not making any difference at all and we lose the motivation to continue. I call this the Disillusionment/Complacency period. In the early parts of the compounding graph, you will notice that it does not appear to move beyond the starting point, and that both positive and negative actions appear to go through the same line and seem to have the same effect. When you do positive actions, it may feel like these do not have any effect in your life at all. If you start saving let’s say ₱1000 per month, it does not look like it has any impact in your finances and you certainly do not feel “richer”. If you start to feel like this in your investment journey, acknowledge that this is a part of the process and you should not lose motivation on your end goal. Beginner investors tend to be excited about their investments and so they check their accounts daily or even multiple times a day. More often than not, this exercise robs people of motivation as they do not see significant increases in their money, and even experience paper loss if it is invested in equities. A more reasonable approach is to instead just check your accounts in longer spans of time, perhaps monthly or even quarterly. In the meantime, while you are waiting for the compounding effect to kick in you can focus your time and energy into furthering your career or building your main or side business. This has a better return on investment on your time instead of worrying about your investments on a daily basis. These thoughts can be reinforced by society itself as you see your friends and co-workers do the same things with their money. This is comforting to us as we are social beings and doing things that other people do feels easy and right. However, by doing these seemingly little, unimportant things, we move more towards the curve of negative actions until there comes a time when we wake up and wonder why we are having trouble financially. Both disillusionment and complacency is a trap and we need to guard ourselves against those feelings as we continue in our financial journey. An effective way to make us ride the compounding graph easier is to use automation. Automation basically removes our emotions from our actions as these actions require no thought or effort on our end. As with the previous section, this is also a double-edged sword. Automating the bad things will make you go to the negative curve much faster, and makes it more dangerous as you are not seeing where you are headed. An example of this is by putting your subscriptions on automatic debit arrangements or through recurring payments via credit cards. Things like your cable TV that you don’t watch that much, magazine subscriptions that you do not read and just accumulate in your living room, or club memberships that you use only once a year. In these cases its better to remove them from auto-debit or recurring payment so you will have visibility of the money coming out each month. It is also good to consider if you can rent or lease those services and products you are subscribing to. Instead of subscribing to a magazine, why not just purchase a library membership and enjoy all of the magazines and other reading materials as you please? Instead of the club membership, it may be less expensive to just lease or rent the place as you need them instead of constantly paying the fees. Ask your bank if they have automatic debit arrangements on your account that can be invested in equities or other vehicles. Examples of these are BDO Easy Investment Plan or BPI Save-Up, where you can specify the amount that they will debit from your account on a schedule that you want and they will invest it in an equity fund automatically. You will be surprised at the amount that is accumulated after a few years even using modest monthly amounts. This is the first of a three series that discusses this concept on different aspects of our lives: our finances, health, and personal development. We often hear and see in the news about people who suddenly strike it big. They sold their company for tons of money, they got millions in bonuses and income, or they won in a competition for a grand prize. These people seem to be very lucky and became what society coins as “overnight successes”. Looking in our own lives we wonder why we are not so lucky like them. We think that success is unlikely to happen to us as they only happen to a few people, even if we feel like we deserve them. What we miss here is the story of those people before they became an “overnight success”. And if we go through their story, the term “overnight” does not make any sense at all. More likely than not, successful people have worked very hard in their lives, doing things daily that seem like a grind, unimportant, or uneventful. These events are not newsworthy so we do not see them in television or in our social media feed. What we see are the end results of these actions and so we develop a distorted view of what success really is. One of my life goals is to achieve financial independence. I do not strive to be filthy rich, but just to have enough resources to support my family, my lifestyle and my other goals. A common goal for most of us is to achieve the same thing, or to be rich, and so we do things that take us closer to that goal. As many people aspire to be rich, it opened up a market for some to take advantage of this fact. While many are legitimate and genuinely want to help people via books, seminars, and coaching, there are also some individuals who just want to make their money off unsuspecting people. They usually promise large profits in a short amount of time and/or you can make money without really doing anything. These offers can be very tempting as they seem to make us achieve our goals faster and easier! I find it very sad when I hear news of acquaintances and friends who fall into this trap and lose their money, some of them even older/retired professionals who lost all their savings to these con artists. Some people opt to buy lottery tickets as their way out of poverty. This is the same concept as above: a promise of large sums of money without doing anything. The odds are stacked against you when you buy a lottery ticket and you are more likely to be struck by lightning than to win the big jackpot. Anything worthy in life requires effort and work to attain it. If we do not work for something, it is likely that we also place less value on them.